The following is a guest post by Shelagh Toonen as part of our focus on members and their sectors. 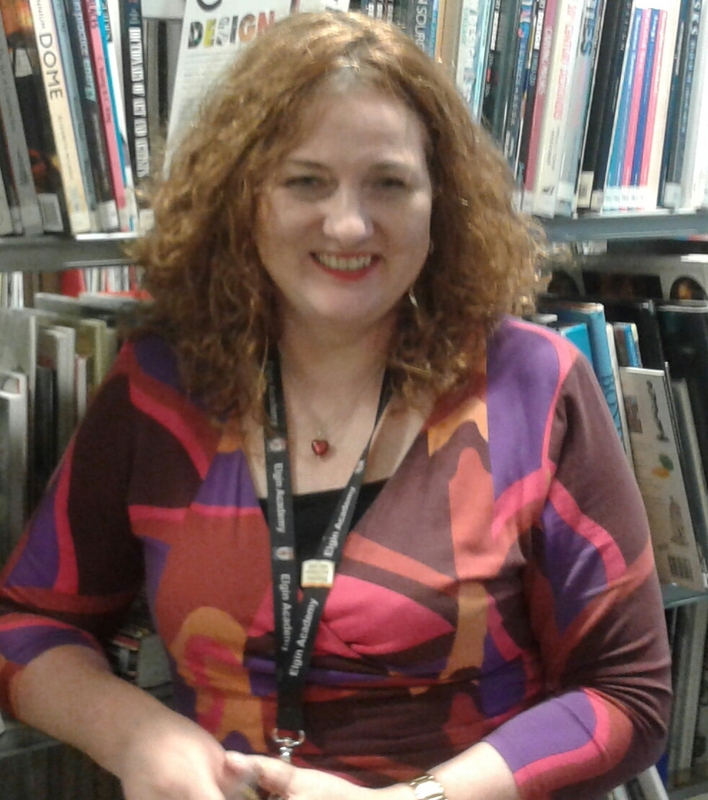 I am Shelagh Toonen, Librarian at Elgin Academy. What I like most about my job are the pupils and colleagues and my relationships with them. School libraries change lives. They have a huge impact on our young people and an essential role in improving achievement for all and are active in improving motivation and esteem. The most rewarding aspect of my job is seeing the excitement on a pupil’s face when they come into the library, knowing that they are entering a world of creativity, adventure, learning, fun and warmth. Each day is different in a school library, but mine begins with chatting to pupils about books they are reading and with staff about classes in the library that day. A typical day includes paired reading sessions, in which S6 students read with younger pupils, to encourage reading fluency and comprehension. I help with their reading choices and talk to the pupils and make sure that both readers are happy and that reading records are updated. Projects during the day will include research with the S1 Science Elective on whales and dolphins, or medieval torture from an S4 History class, or referencing and bibliographies with Advanced Higher Biology students. Two periods of each day are working with English department classes. These have dedicated library periods and include the book talk programme devised and delivered by me; reading diaries and any other library projects planned in collaboration with the class teacher, such as the Scottish Teenage Book Prize project. Lunchtimes are for book clubs and we have three: book club; graphic novels and a staff group. I work at lunchtime with a team of energetic and enthusiastic pupil assistants, who help to create displays and who love getting involved in and taking ownership of our termly whole school book events. Afternoons might include working with a guidance teacher and youth engagement worker on strategies to take forward with the SLIF (School Library Improvement Fund) project. Then, emailing an update to our partners in the NHS Mental Health team, followed by preparing for the next day’s session with the pupil ambassadors. After school is time for meetings and includes the English department meeting to chat about Book Week Scotland plans, or the IT Group to discuss digital learning opportunities, or participating in the Mental Health School Improvement Group to help develop and support opportunities for pupils. A challenge for school librarians is ensuring support from school management for librarians to take an expansive role in the curriculum; working towards a shared understanding of how a school library contributes to learning and continual collaboration with colleagues. School libraries are in the midst of exciting developments, with the new National Strategy, SLIF and HGIOSL being used in schools. The challenge here is to highlight the importance of school libraries within educational reforms and their role as indispensable education leaders. CILIP membership has helped me to attend and participate in training events and be part of SLG Scotland Committee. I applied to the Professional Development Fund and this helped me to participate in CPD and attend the Autumn Gathering. It also ensures that I work with and share good practice with colleagues. I am a CILIP mentor and enjoy working with and learning from my mentees. The newsletter from CILIPS is always useful and the support provided by CILIPS, during damaging cuts in my authority, was helpful. Advice I would give someone looking to become a school librarian is: be prepared to be flexible, friendly, inspiring and indispensable and aim to make reading and learning a rich experience for everyone in your school community.